Run Mommy Run : ATTN: MAMAS!!! So last night as I was pondering how to grow this blog and get our name out there I found Mamavation. How did I find them? Oh I joined Twitter. I caved. I had been holding out. We will try it. "HootSuite or TweetDeck? " Let me know if you use either or both. So back to Mamavation. What are they about? Why do I want to be apart of it? 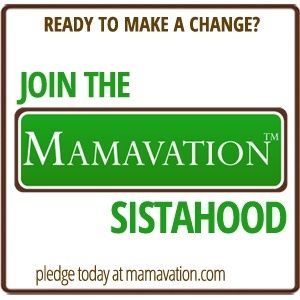 "Mamavation™ is a online docudrama and weight loss support group for moms in social media. It’s both a campaign and Virtual Sorority™ in one." Well this sounds right up my ticket line. So I read a little more. There are so many moms out there looking for help and support. I love this site. They are right in line with us here at MommyLand. I want to be a Mamavation Sista. I feel that our goals are the same. Offer others support while taking the ride of life ourselves. I am always looking for others with similar interests to get in touch with. I am a mother and I am a runner. I have goals. I want to reach them. How great to stay in touch with others that will help me. So lets take this ride together. Each week here will be Mamavation Monday. You can come here and discuss your progress and goals with me. Or join me at Mamavation. Take the pledge with me. What are your goals? Are you up to taking the pledge with me?